Prime Minister David Cameron says there needs to be a ‘big conversation’ about what to do about their behaviour. UK PRIME MINISTER David Cameron has a lot to worry about – the EU referendum, the Greek debt crisis, and now, seagulls. On this side of the sea, we know all about the menacing birds that, let’s face it, can rule the streets sometimes. Following a number of attacks by seagulls recently, Cameron says he wants to “start a big conversation” about what can be done about them. Recently, there have been a number of attacks in the UK. Seagulls killed a Yorkshire Terrier in Newquay this week, while in another attack seagulls were seen turning over and eating a pet tortoise alive in Liskeard. According to The Independent, in the March 2015 budget £250,000 was earmarked for a research project into aggressive behaviour from seagulls but it was axed after the general election as it was considered to be “low priority”. However, Cameron has now done a U-turn. “I think this is a very difficult subject and I think it is a dangerous one for the Prime Minister to dive in and come up with an instant answer with the issues of the protection of seagulls, whether there is a need for a cull, what should be done about eggs and nests and the rest of it. I think a big conversation needs to happen about this and frankly the people we need to listen to are people who really understand this issue in Cornwall, and the potential effects it is having. He added “…we do have a problem. I think it is the start of a conversation about something needing to be done”. 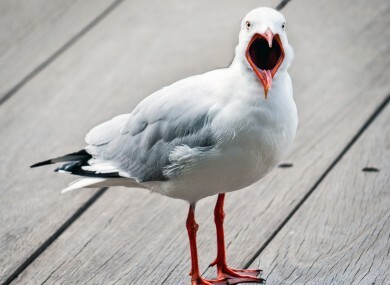 Poll: Do you think Ireland should also tackle the issue of intimidating and aggressive seagulls? Email “The UK wants to take on 'aggressive' seagulls”. Feedback on “The UK wants to take on 'aggressive' seagulls”.